For starters, I’ll say that Willie Nelson—that’s right, the pigtailed country troubadour—is one of the greatest jazz guitarists of all time. The classic song “Crazy,” written by Willie and perhaps made most famous by the great Patsy Cline, involves an elaborate array of beautiful jazz chords. Willie did that in many of his songs, weaving complex mixes of suspended chords, minors and majors, with melodic bass notes, in a way that is deeply rooted in jazz theory. Don’t believe me? Check out this version of the song, performed by Willie, jazz pianist Diana Krall, and Elvis Costello. Willie is not the only guitarist to do this outside of the jazz realm, of course. For example, one of the greatest rock guitar licks of all time is the lead to the Led Zeppelin classic “Stairway to Heaven.” Or is that “My Funny Valentine,” perhaps modified by Jimmy Page as he was noodling around the frets backstage one night? Thing is, people like to categorize things. But the best art, and the best music, transcend categorization; they draw from one creative well and pour that into another. And that’s also the case with fly fishing. Take “Czech nymphing” as an example. You use heavily weighted nymph flies, cast upstream, maintain tension on the line, and feel the flies drift and tick the bottom as they tumble downstream—when you feel the line come tight, you set the hook. It’s a tremendously productive and enjoyable way to fish, when done right. And we credit those amazing Euro-anglers for this angling technique. Or should we thank the bass boys from Alabama, Texas, and Florida? After all, isn’t Czech nymphing basically the same thing as tube jigging for bass? 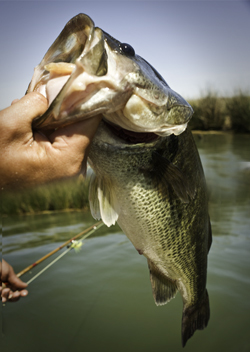 Tight line, weighted lure, a game of feel, you come tight and set the hook. At the end of the day, there’s a lot a fly fisher can learn from a “country boy” bass angler, and vice versa, just like there’s a lot of things a country or rock musician can learn from listening to jazz. To the bass angler who says they don’t like fly fishing because there isn’t any “feel,” I say, try Czech nymphing in a moving current. And to the fly guy who thinks jigging for bass is simple, I say, try throwing tube jigs and see what that does for your sensitivity on the water. It’s all the same. The sooner we loose the “category” thinking and start looking at different types of fishing as different “genres” with fundamentals that can be experimented with and applied to fishing we do, the better anglers we will become.